Tristan has known that he and his family were going to be on the first mission to colonize Mars since he was 12 years old, and he has been training ever since. But knowing that he would be leaving for Mars with no plan to return didn't stop him from falling in love with Izzy. Now, at age 16, it's time to leave Earth, and he's forced to face what he must leave behind in exchange for an uncertain future. 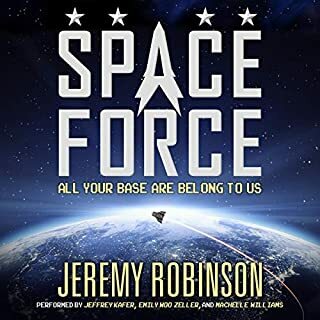 When the news hits that another ship is already headed to colonize Mars, and the Neo-Luddite terrorist group begins threatening the Mars One project, the mission's purpose is called into question. Is this all worth it? 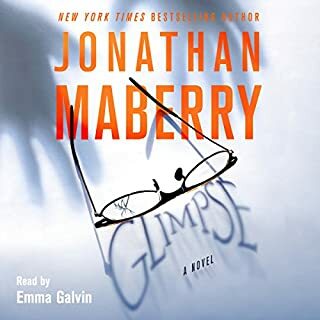 ©2018 Jonathan Maberry (P)2018 Blackstone Audio, Inc. I waited a long time for this one to come out on audio and it was definitely worth the wait. Wow, Maberry did it again. This is another masterpiece all the way through. In every single book he makes it seem so real, no matter how unbelievable it may seem. From technology, to space travel and anything in between. For fans they will definitely know what I am talking about. Maberry studies until he is an expert on the subject and then puts pen to paper. I was hooked from the first line of this book. Just when you think you know where the story is going there is a curveball and it makes the story even better. 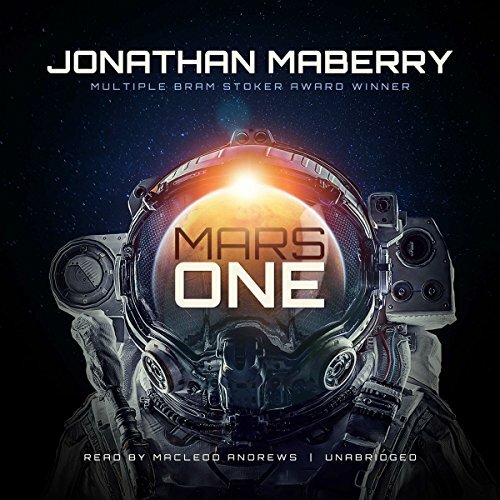 Outer space is so mysterious, dangerous and unknown but what is awesome is what Maberry does with this. There is even some young love that he does a great job of not allowing it to consume the whole story, but there is enough of it to make you wonder if it will work out or not. There are even parts you will be laughing out loud at. This story brings consumerism to a whole other level too. 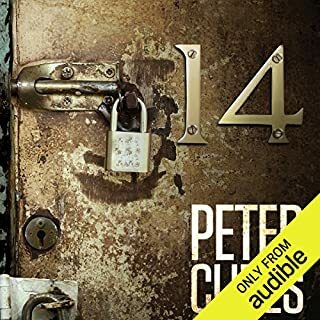 The characters are so real and flawed that I liked every single one of them and they make the story run like clockwork. I really liked the multi cultural cast Maberry has employed throughout the entire story. Plus if you love tattoos, like I do then you will get to hear about one of the coolest tattoos I have ever heard of. This cast of characters shows how wonderful the entire world is. The performance is just so marvellous. As with the multi cultural cast of characters comes a multi cultural set of voices and accents and Andrews does a totally amazing job. He adds so much to this story and makes the listener feel the emotions the characters are displaying. Andrews has that swagger to his performance that will make you seek out other titles he narrates. This is not my first book performed by him and definitely not my last. 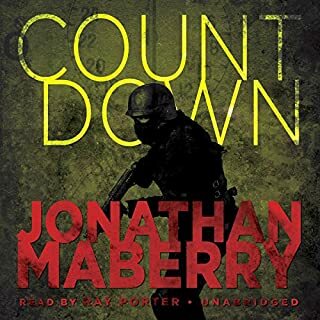 As for Maberry, he continues to produce works of art that readers/ listeners all over the world enjoy. An Awesome listening experience!! This is a sweet, sappy, adventure story spiced lightly with science. There's a little bit of violence in it but not much. I'd almost have to put in the YA category. It was good, if a bit too sappy at times. The science and the rigors of travel were over simplified a bit and overall plot a bit predictable, but it's a good story and well told. Just don't expect this to be "Rot and Ruin" because it's definitely not that. This is an awesome story and one that im sure is the first in a series. The characters are easy to like and the story moves quick. The plot for me was pretty easy to figure out 3/4ths the way through the book. Love Maberry and glad to see him branch off his normal subjects to something different. 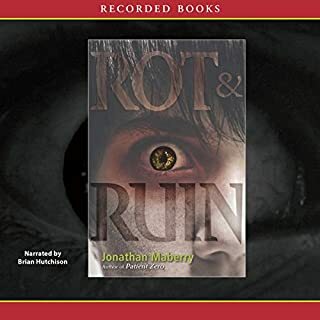 I chose this title, in part, because it was written by Jonathan Mayberry and because of the Sci-Fi genre. If you are expecting the type of action with a Joe Ledger novel - this isn’t it. The story centers around a 16 year-old boy who has been selected with his family to colonize Mars along with approx 37 other people. The trip is one-way. He has a girlfriend and the first part of the book is about him dealing with the media circus revolving around their love and the fact that they will be split up. Mayberry leverages an interesting premise that a large portion of the trip. Is funded by a myriad of reality shows. He and his girlfriend are at the center of one such reality show. We hear about his inner turmoil at knowing he will be leaving the relationship. It gets a bit sappy. It takes almost half the book before he actually launches to Mars. That is when the book shifts gears as he and his fellow colonists face challenges associated with breakdowns on the two ships. (I won’t go more specific for fear of spoiling the plot). The science is, for the most part, realistic but certain aspects of the plot line are a being stretched a bit further than is believable. Not a bad book if you are a sentimentalist. The first half of the book was a struggle for me, but the rest delivered satisfaction. MacLeod Andrews did a superb job and saved the book from my perspective. He pulled-off sounding like a 16 year old adolescent. I definitely will be listening to more of his readings. This is not like any of his other books. I got it based on my love for his other books and discovered just how great a writer he truly is. i only wish there was a book 2 so i could keep listening to this tale. I loved it, Look out Hollywood! If you could sum up Mars One in three words, what would they be? Just too real. I think Mayberry nailed it. What was one of the most memorable moments of Mars One? The last argument on saving the chinese. It addresses a problem with the space race I wish we could resolve as easily. At the end when Luther is chosen to take the first step. Since i listen to about a book a day i cant really say i couldn't put it down, but it was that kind of book. At the end you really cared for the 2 crews. You definly walk away feeling hopfull of the future. 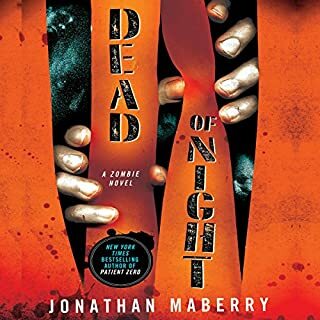 I may be wrong but I think i've read everything from mayberry and this was the first book not having something go bump in the night. And I think it was his first in space. And just like everything he's wrote , he owend it! did not enjoy this sucky book. Struggled to finish because it was not good. bad and unbelievable.